Never in all my life have I heard of fried cucumbers. Sliced cucumbers, diced cucumbers, grated cucumbers, dressed cucumbers, soggy cucumbers, cucumber salad, cucumber-infused facial toner, cucumber… well, cucumber everything else, yes – but fried cucumbers? I’ve got to try this one out. I’m not even going to warn my boyfriend in advance as I often tend to do – there’s no way he’ll guess what it is and wouldn’t try it if I let on before I dish it up on a plate. 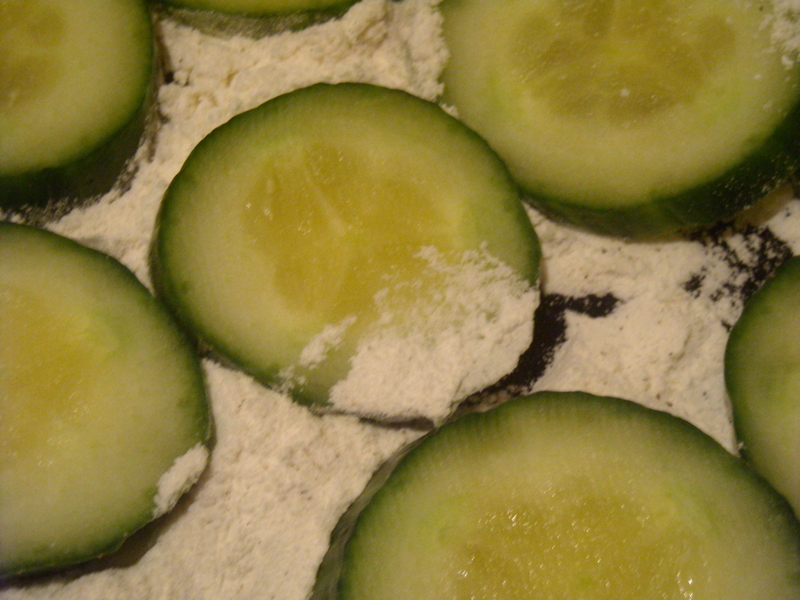 INGREDIENTS – 2 or 3 cucumbers, pepper and salt to taste, flour, oil or butter. 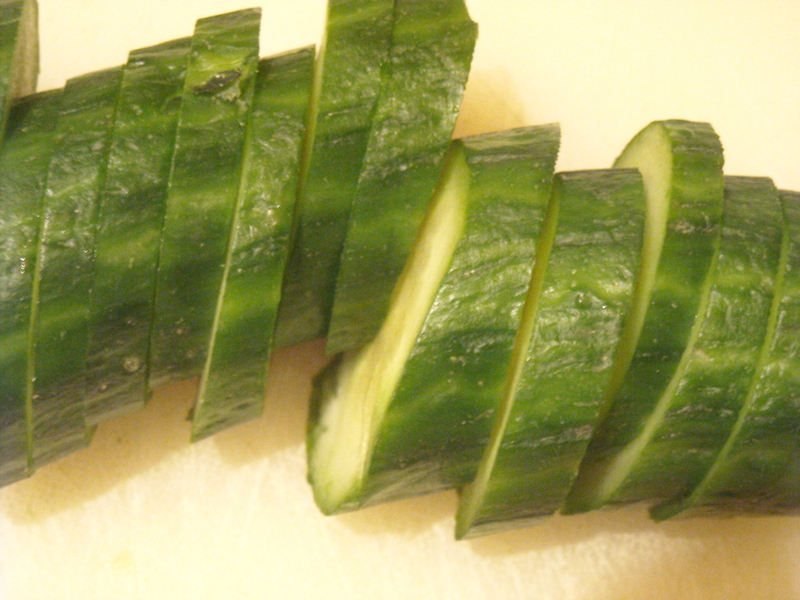 Mode.—Pare the cucumbers and cut them into slices of an equal thickness, commencing to slice from the thick, and not the stalk end of the cucumber. Wipe the slices dry with a cloth, dredge them with flour, and put them into a pan of boiling oil or butter; Keep turning them about until brown; lift them out of the pan, let them drain, and serve, piled lightly in a dish. These will be found a great improvement to rump-steak: they should be placed on a dish with the steak on the top. “What is…?”came the query as soon as I brought out the plates. 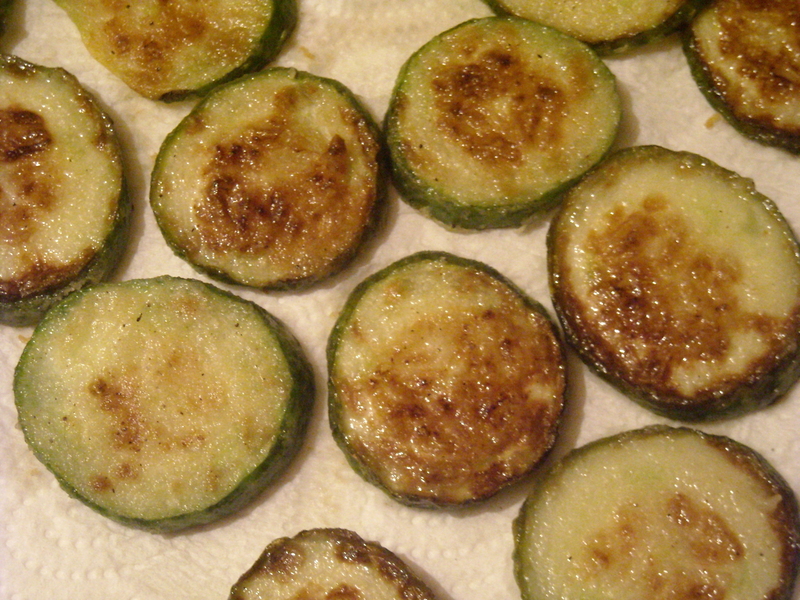 ”Fried cucumbers!” I blurted out as quickly as I could. “Just try it – no don’t over-salt it – give it a go… I don’t know… it might be nice,” I hurried on. Quite why presenting cucumber to a grown man reduces me to a semi-bundle of nerves, I don’t know. ”Not bad,” he replied after I hesitantly asked for his opinion (which actually translates to ”Pretty good” in standard English). 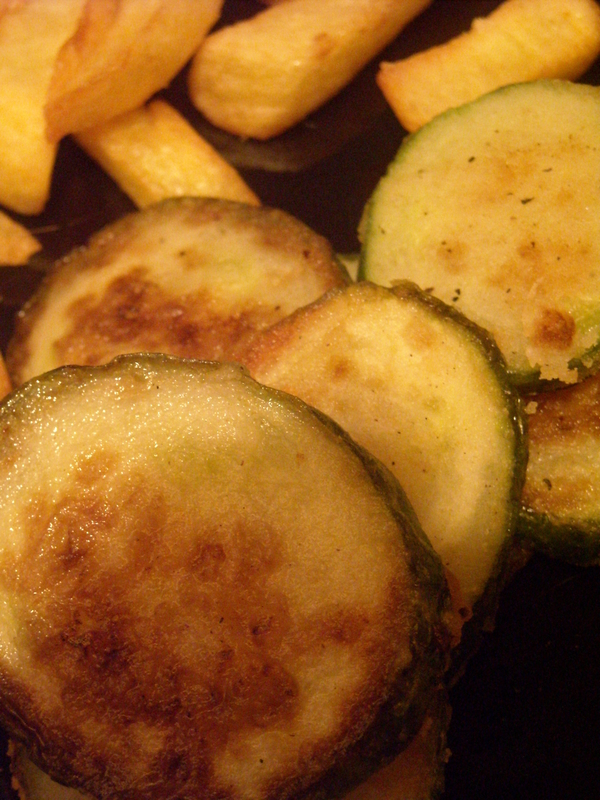 I had assumed (wrongly) that cucumber would be too watery to maintain their crunchy state once fried – how wrong I was. I can’t say they sell a dish – but, as Isabella Beeton hints, fried cucumbers should enhance a main dish rather than being the centre of attention. And in that respect, this works. This entry was posted on January 14, 2010 at 6:25 am and is filed under food. You can follow any responses to this entry through the RSS 2.0 feed. You can leave a response, or trackback from your own site. Thanks for taking the time to describe the terminlogy towards the beginners!